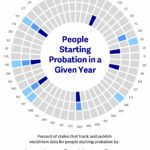 Few states track and publish any recidivism measures for the probation population. For the past decade, state and local leaders have been making recidivism reduction a public safety priority and are starting to see results. Many of these recidivism-reduction initiatives have been funded by the federal government through the Second Chance Act and the Justice Reinvestment Initiative. To sustain and expand the results, states must use effective recidivism-reduction methods, take them to scale statewide, and rigorously track outcomes. Historically, most states have focused on reducing recidivism among the 580,000 people who are released from prison each year. 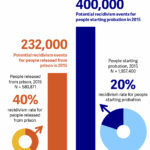 To have the greatest impact on recidivism, however, states and local governments are beginning to expand their efforts to include the approximately 3.8 million people on probation supervision. Jurisdictions also need to meticulously track recidivism outcomes for people on supervision and develop measures that permit more timely analysis to ensure that recidivism-reduction efforts are achieving their goals. Effective supervision for people on probation and parole is a shared responsibility between legislatures, courts, and correctional agencies at the state and local level. Many correctional agencies are adopting policies and practices related to risk and needs assessment, evidence-based program models, and strategies to help people on supervision change their behavior. For people at the highest risk of recidivating, supervision alone is not enough to break the cycle of reoffending, however. It must be paired with effective treatment and programming, as well as pathways to employment and housing. State and local leaders can play a key role in breaking the cycle of recidivism by ensuring that risk and needs assessment tools are used to identify populations most at risk of recidivating, corrections and supervision officers have the necessary training and resources to develop individualized case plans and carry them out successfully, and effective treatment and programs have the capacity to meet the needs of people on supervision. Additionally, states can provide funding to support recidivism-reduction initiatives at the state and local level and adjust statutory requirements to reduce barriers to successful reentry. Strategy 4: Provide people on supervision with the resources they need to succeed. See the Additional Resources box that follows for more information. 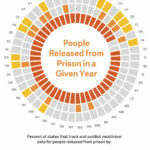 E. Ann Carson and Elizabeth Anderson, Prisoners in 2015 (Washington, DC: U.S. Department of Justice, Office of Justice Programs, Bureau of Justice Statistics, 2016). Danielle Kaeble and Thomas P. Bonczar, Probation and Parole in the United States, 2015 (Washington, DC: U.S. Department of Justice, Office of Justice Programs, Bureau of Justice Statistics, 2016). In 2015, 580,871 people left state prisons. On December 31, 2015, the state parole population was 756,055 and 425,200 people entered state parole in 2015. On December 31, 2015 the state probation population was 3.771,417 and 1,957,400 people started probation in 2015.